In the wake of yesterday’s premiere of Super Cats: A NATURE Miniseries, we wanted to address concerns about the exotic pet trade. Dr. Niki Rust, Technical Advisor in Wildlife for WWF-UK, gives us her views on the issues. If you’ve just finished watching the premiere of the NATURE miniseries Super Cats, I’ll bet you’ve come away thinking how utterly cute and adorable all wild cats are and especially the smaller ones. After all, who wouldn’t fall in love with a 1 kg rusty-spotted cat, so tiny it can fit in the palm of your hand? Whilst small cats like the margay and black-footed cat may – at least on the surface – look not too dissimilar to our domestic moggies, they do not make good pets. But more importantly, demand for wild animals as pets can seriously contribute to their population declines. 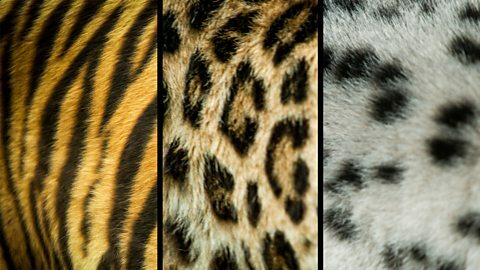 Nearly half of all cat species are threatened with extinction, and the illegal wildlife trade is driving species like tigers to the brink. Cheetahs in East Africa are trapped to fuel illicit trade in cubs, driven by the desire of wealthy individuals in the Middle East to own them as pets. 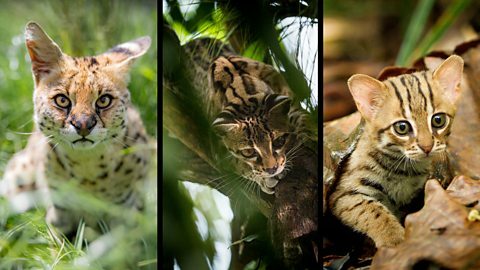 It’s not just big cats that are in danger from this threat – smaller cats like servals and jungle cats are also taken from the wild to be bred with domestic cats to produce hybrids like ‘Savanna cats’. Whilst owning these cats is not illegal, like dog-wolf hybrids, these mongrels are not tame as they still have their wild side present and I would say that they don’t make good pets either. All wild cats are listed on the Convention on International Trade in Endangered Species of Wild Fauna and Flora (CITES), meaning international trade in live or dead animals or their parts and products are either partly or fully banned. This is because they are at risk of extinction by wildlife trade. Back in the 1970s, leopard populations plummeted in many areas as the trend for having leopard-print coats skyrocketed. Even today, a snow leopard is thought to be poached on average every few days and one of the reasons for this is for the demand for their skins. Our desire to stroke or own these animals is not good for their welfare or their conservation. For instance, the wildlife selfie craze could be fuelling illegal trade. After a raid on the Tiger Temple in Thailand – a tourist trap renowned for offering the chance to pet and photograph captive tigers – authorities seized 40 dead tiger cubs that had been stored in freezers, along with dozens more gruesomely stored in jars. Tiger farms are thought to increase demand for their parts by boosting supply, which then fuels poaching of wild tigers. In general wild animals make very bad pets as they are hard to tame and require expensive, specialized diets and housing. Sadly, some States in the US allow ownership of wild animals, and it’s not hard to find adverts for bobcats, ocelots and lynx for sale on the internet. However, buyers may not know where these animals have come from and the kitten’s parents could have been caught illegally from the wild. Seeing cute videos of wild animals may make you want to cuddle them but remember these are not domesticated kitties. If you can, the best way to get up close and personal with wild cats is to see them from the safety of a safari vehicle in their natural habitat. This is not only better for the animals themselves but responsible wildlife tourism also finances conservation efforts, so your money will be going to help protect these species for generations to come. So let’s keep wild cats wild and if you really want a pet cat then please consider adopting a rescue cat from a sanctuary.